This is a great round to use in your Taurus Judge handgun. 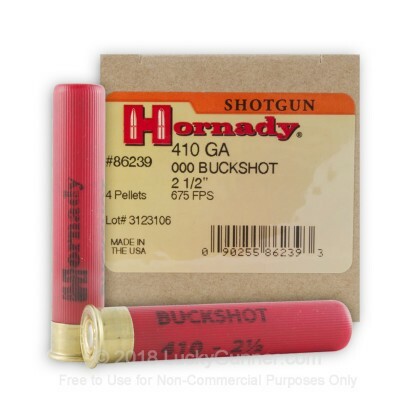 This 410 gauge 000 buckshot round contains 4 hard hitting pellets making it a solid 410 gauge self defense round. This ammo is new manufacture and non-corrosive. 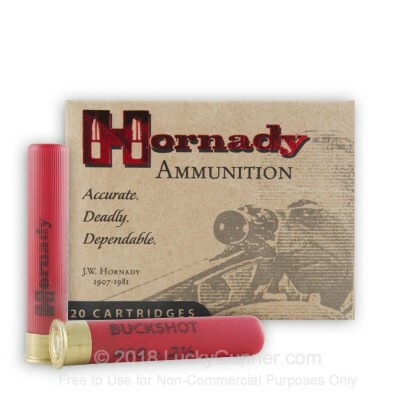 We don't have any reviews yet for this particular 410 Gauge ammo from Hornady. 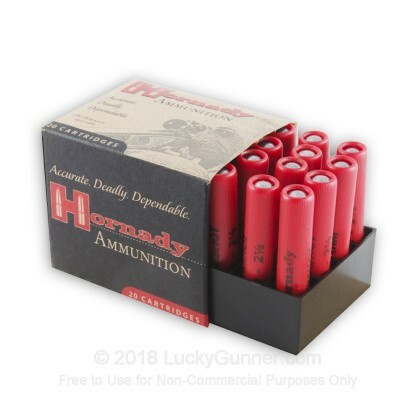 If you'd like to be the first to review this particular 410 Gauge ammo from Hornady, fill out the form below.